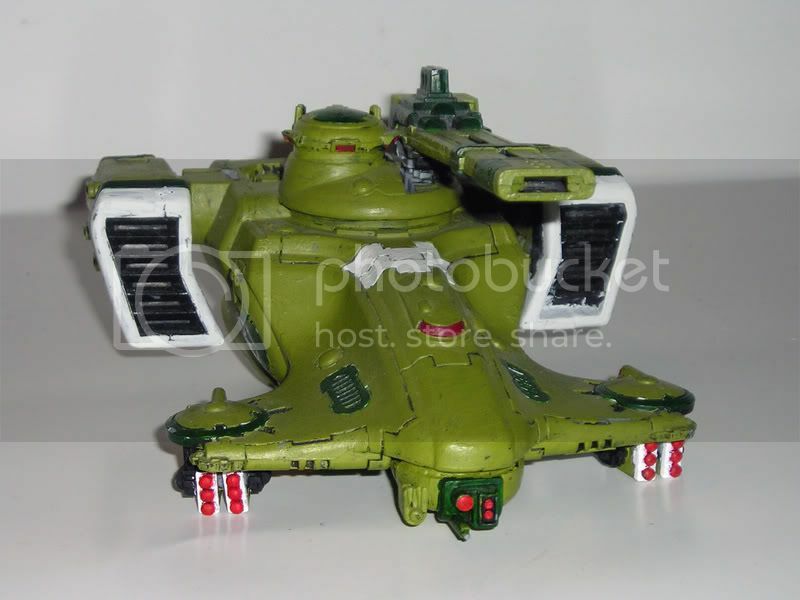 Warhammer 40k Forum Tau Online » Games Workshop/40K Related » Showcase » Grunt90's Hunter Cadre Cold Wind! Grunt90's Hunter Cadre Cold Wind! these are my work in progress Tau. there kind of like a cathedral, never completed, always being added on. 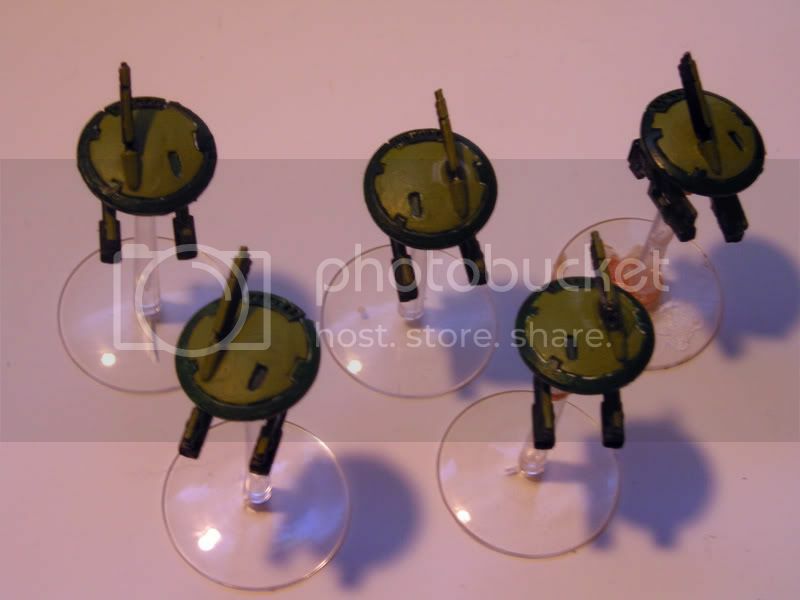 But here are some painted examples of my deadly and effective fighting force. ( please ignore all of my horrible basing/paint jobs, this is my " paint n play" army, so there not expertly, but not bad. 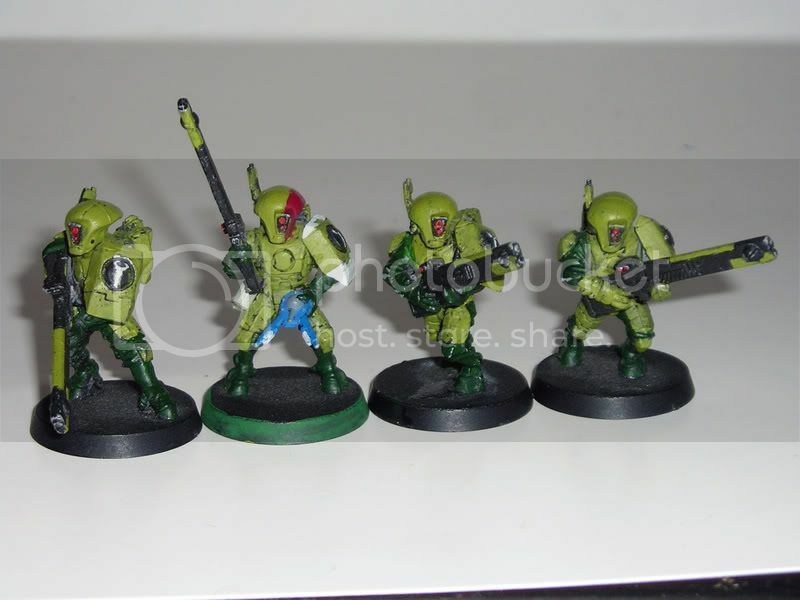 some of my other FW"s, the painted helmet are the Shas&#39;ui&#39;s of the units. these are five out of my 16 drones that i have, ready to get DS and then get gunned down, once again. my only hammer head, would be my only tank except i have one devil fish with same scheme. and finally three out of my four crisis, the grey head is my el/O, and done mind the massive green stuff to the ankles, she had a few bad falls. so this is basiclally what my entire army consist of, except my kroot, sorry for no pics but they&#39;re bleached bone skin, with black underbelly, with purple quills with yellow tips on them. so whatcha think? leave w/e comments you want about anything! Re: Grunt90's Hunter Cadre Cold Wind! lol i try to thin my paint but I&#39;m not sure how much water and stuff to put in it, and eventually it turns out i waste a lot of it, so i just paint straight from the pot. Usually a drop or two will do it. Then just stir it around a little with a toothpick. I would definitely suggest thinning your white down. It&#39;s very chunky. Also, work on separating your painting. 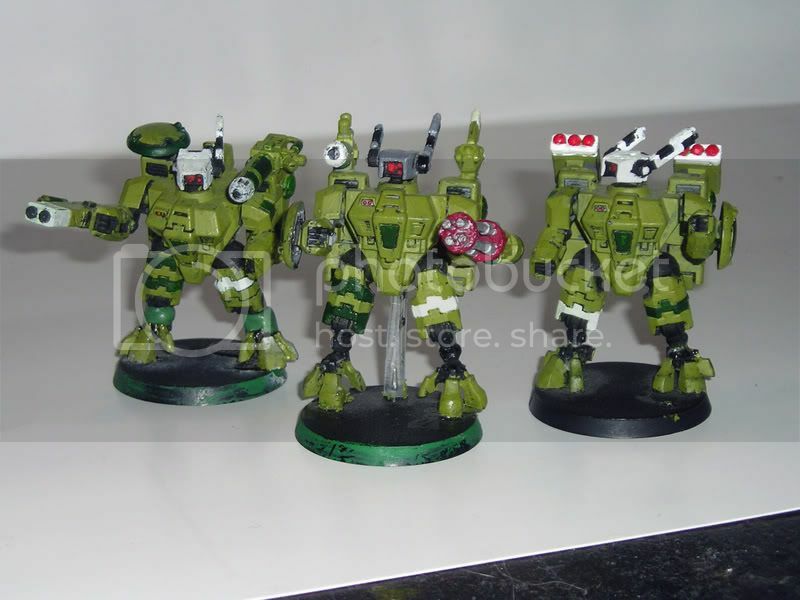 All I see is a bunch of drybrushing over your Tau. Section it out (make sure there are dark colours in the recesses, etc). This really gives models depth. Dark Angels Green would do well for you. So do I put the paint and water on like a pallet and then stir? And I got the second picture fixed, and also ya some of my models are a little beat up, like the green stuff and the missing antanae. 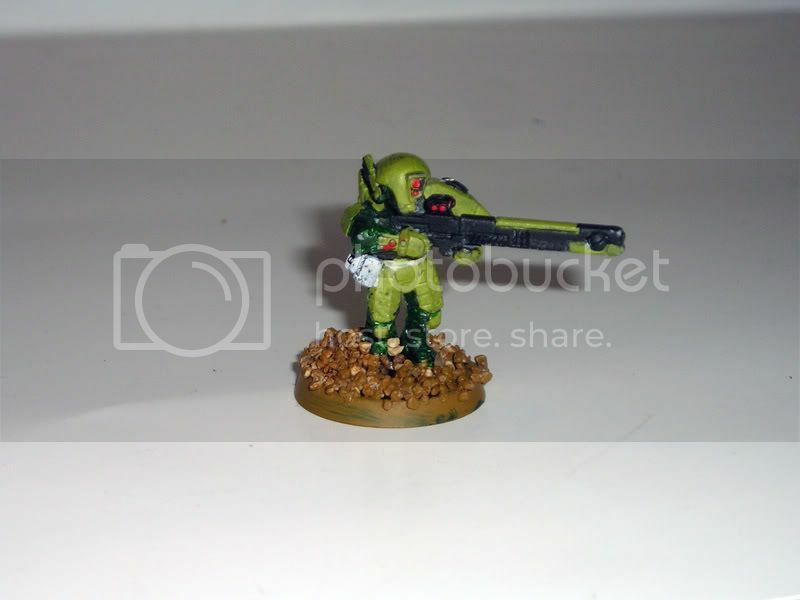 and Should I base coat my models dark angels green and then lightly paint camo green over it? You should use a ratio of about 1:2 water aint (that&#39;s what I *usually* use). Good luck, looking good so far! Indeed. I would suggest trying to experiment with inks.... Those are fun.